Blasting emails is a blast from the past, so to speak. Email marketers who regularly deploy the same content to their entire list will likely find their list (and revenue) dwindling in the long run. It’s all about segmentation. 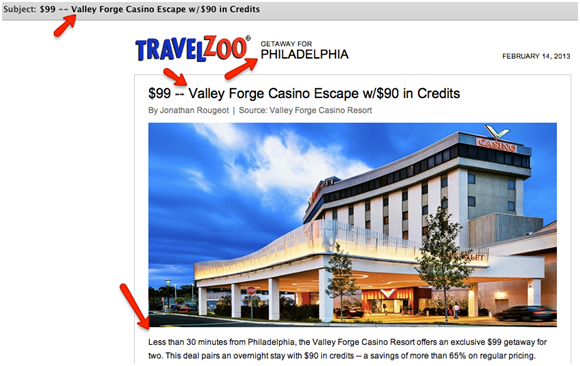 Even the least sophisticated email platforms have the capability to segment lists. So take advantage of it. List segmentation doesn’t have to be rocket science. Here are a few ideas, all easy to implement, to get you started. Email marketers with brick-and-mortar stores can use zip codes to prepopulate the email with the address of the nearest retail locations. 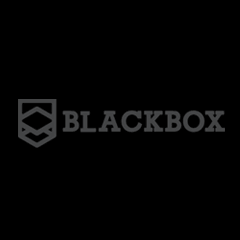 It’s a classic example of cross-channel marketing as well as dynamic email marketing. Geographical segmentation can also be used to time when emails are received. Recipients on the West Coast can receive emails in their time zone, not that of the East Coast. You also can use geographical data on a broader level. Let’s say you’re sending a “Snowed-in Special” to recipients in the Northeast. You can tweak the creative for your southern recipients, so that the offer still makes sense to them. Something as simple as changing the headline to “Not snowed in? Still enjoy the savings!” lets your customers know that the offer applies to them – and that you’re not lumping them in with their neighbors in the frozen north. 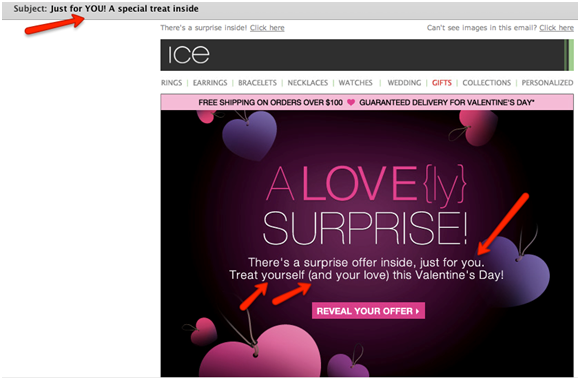 The next email from Ice.com is more generic – even masculine – and obviously geared toward gift giving as opposed to self-purchase. Here, the jewelry is silhouetted against a white background with no-nonsense black links below the images. Keep track of your customers’ purchase habits, then use that information to segment your lists. For customers with higher average order values, don’t be afraid to upsell or cross-sell in your emails. Keep track of customers’ product preferences. If customer Willy Wonka consistently orders dark chocolate, don’t send him emails featuring milk chocolate. Chances are, he’ll be more receptive to your offers. Sweet. Many email marketers group their lists by prospects, actives and inactives. They further segment the active group into top customers. Inactives are often defined as those who have not clicked on or opened an email in the past 6-9, 9-12 or 12-24 months. Promotions usually are focused on the active lists. It’s important not to ignore the inactives – they either should be re-engaged or removed from your lists entirely. ISPs routinely penalize email marketers whose lists have a high percentage of inactives. This type of segmentation (or any segmentation, for that matter) can backfire, however, if not used properly. For trigger and transactional emails in particular, you must set up business rules for the segmentation. Like me, I’m sure you’ve received “Welcome back!” emails from companies whose lists you never opted out of, or “Thank you” emails from sites where you’ve never made a single purchase. That’s just bad business. Period. No matter how you slice it, segmentation is key to effective email marketing. It allows you to tailor your message and your offer to those most likely to respond. Segmentation may require a little more work up front, but the ROI is worth the effort. About the Author: Scott Hardigree is Founder of Indiemark. Connect with him everywhere, here. 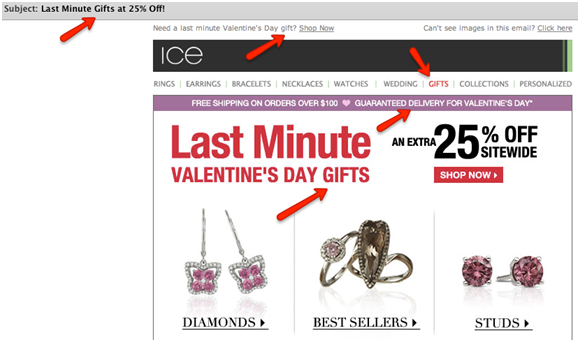 I think segmenting is key for 2013 email campaigns. More consumers are opening their email on mobile devices, so emails should be shorter. Since you’re not cramming as much content into each email, you want to include just one call to action that’s relevant. List segmentation helps to optimize that one CTA — you’re sending email only to those people most likely to respond to the condensed content. Nice post! Thanks Katherine. Thanks too for mentioning mobile devices and shrinking content; really great addition! What are some ways we can segment lists for B2B Email Marketing, as I feel the above segmentation is more for a B2C list. You’re right Saurabh, this post is skewed b2c. We’re actually working on another article regarding b2b segmentation, which focuses on offline and online behavior, lead source, and where the client/prospect is in the sales cycle.